Marriage and divorce are both common experiences. 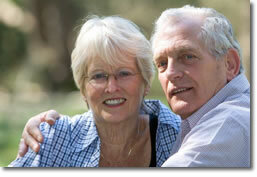 In Western cultures, more than 90 percent of people marry by age 50. Healthy marriages are good for couples’ mental and physical health. They are also good for children; growing up in a happy home protects children from mental, physical, educational and social problems. However, about 40 percent to 50 percent of married couples in the United States divorce. The divorce rate for subsequent marriages is even higher. Nine psychological tasks for a good marriage. Research on what makes a marriage work shows that people in a good marriage have completed these psychological "tasks.” Making stepfamilies work. Parents of a “blended family” face plenty of challenges, but there are things you can do to make communication easier and help children adjust to their new reality. Marital Education Programs Help Keep Couples Together In the United States, couples marrying for the first time have approximately a fifty percent chance of divorcing. Psychologists are helping couples' "I do" last a lifetime through development and application of scientifically tested relationship education programs. Civil wars. Psychologists who work as parenting coordinators help moms and dads keep the peace.